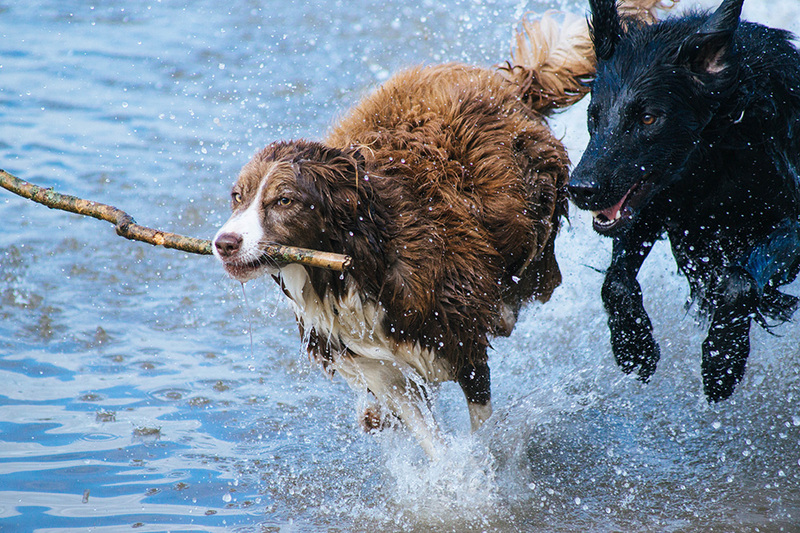 As temperatures rise over summer the risk of HEAT STROKE becomes very real for our pets. Heat stroke has devastating effects on pets left outdoors with insufficient shelter, and even pets housed indoors. Heat stroke is an emergency, and can kill within an hour. If your pet has overheated, provide cooling immediately with a tepid water bath (be careful they don’t inhale the water!) Tepid water is BETTER than cold water. Cold water causes blood vessels in the extremities to constrict, which actually inhibits cooling. Tepid water provides instant relief and quicker cooling. Seek immediate veterinary attention for further assistance. The good news is that the tragic consequences of heat stroke can be avoided with foresight and preparation. Here’s a list of suggestions to prepare the night before a forecasted heat wave. All small mammals should be brought inside- simply being in the shade will NOT be enough. The bathtub or shower cavity (or any tiled area) is perfect for keeping your guinea pigs cool during the day- tiles and enamel stay relatively cool so provide a great surface for your pets to lie on. Ceramic tiles and terracotta flower pots soaked in water are great to add to cages for little animals to lie against. Most of our small mammals have problems self-cooling, and can’t sweat or pant to release heat and thermo-regulate their body temps- which is why they’re so susceptible to heat stroke. Add frozen drink bottles/ ice bricks/ wet towels etc to their enclosures so they can actively self cool by leaning/ lying against them. Ensure ALL your animals have plenty of fresh water. Add extra water bottles/ bowls to the enclosure and consider adding ice to water to keep it cool all day long. Hose down outdoor aviaries before going to work. Add extra water bowls/ baths for bathing. Silver car windscreen protectors are perfect for deflecting the sun from the roof of metal aviaries. Wet sheets and towels hung around the outside of aviaries may help them stay cool. Cold fruit and leafy vegetables will be welcomed by birds, mammals and reptiles. Vegetables that have a high water content, and most fruits, will be ideal to help our little pets rehydrate themselves in the heat eg. Cucumber, celery, capsicum, corn, leafy Asian greens and most juicy fruits are perfect. Fish tanks may require cooling, particularly for those species that prefer cooler temperatures. We advise our axolotl owners especially to ensure their chillers are functioning properly, and consider adding ice to the water if you are concerned. While indoor reptiles shouldn’t have a problem if heating devices are running on thermostats, reptiles running in outdoor pits can overheat in summer. Make sure they have the opportunity to shelter from the heat and sun- they CAN overheat and dehydrate, particularly captive reptiles who can’t retreat to cooler areas to thermoregulate. Providing additional shade, baths and wet terracotta pots will assist them in maintaining suitable temperatures during the heat of the day.